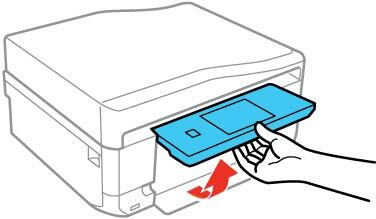 Send your file from your computer or from your product's control panel. 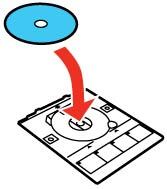 When you see a message that the product is preparing for CD loading, follow the instructions to load a CD. Make sure nothing is on the output tray, then close it if necessary. 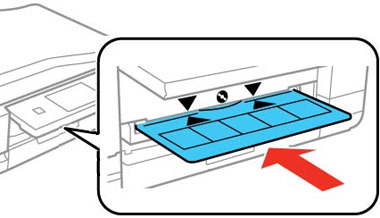 Place a CD or DVD on the CD/DVD tray with the printable side faceup. 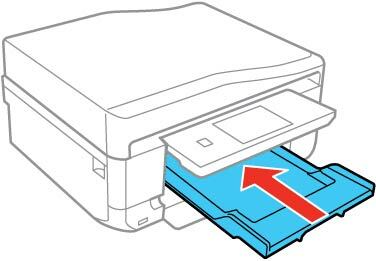 Insert the tray into the slot above the output tray. Select Ready and select OK. 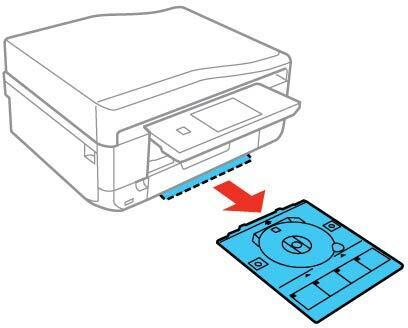 Note: The CD/DVD tray ejects automatically after a certain period of time.